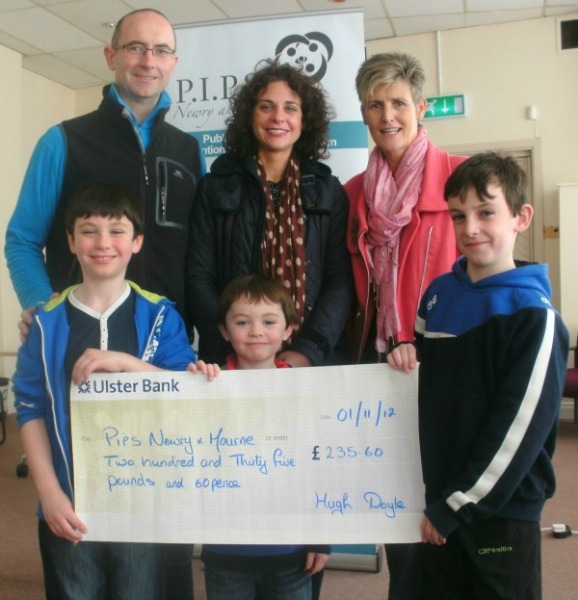 Pictured below is Hugh Doyle and his family as he presents a cheque for £235.60 to Attracta Brown of PIPS Newry & Mourne. Hugh raised the money having completed the Dublin Marathon and he would like to thank all those who generously sponsored him for the event. PIPS Newry & Mourne would also like to thank Hugh for all his efforts and very kind donation.